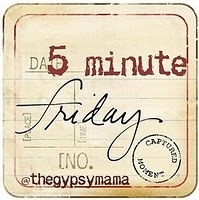 It's Five Minute Friday when I link up with The Gypsy Mama. Lisa-Jo gives us one word each week. We get to write for five minutes flat on this one word. Our word for this week is: WELCOME. Every week day morning, I am greeted by the sweet faces of little three and four year old children. No matter how tired I am when I arrive at work, the sight of the smiles and innocent tugs for my attention energize me. 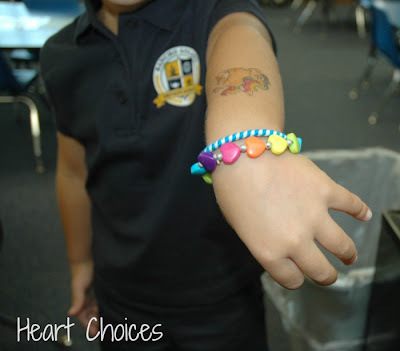 Melika shows me her tattoo and her new heart bracelet. "Look Miss Debbie." Hilton tells me she's a pop star as she models her blue sunglasses. Sid excitedly tells me he's Superman and will take care of the bad guys for me. He has an invisible cape so he can fly if he needs to help someone. As he runs off, he quickly turns around and says "I love you Miss Debbie." Our newest student shyly tells me she wants a friend but hangs her head and won't leave my side. I try to engage her in play with the other children but feel her hand grasping mine. Sam shows me his latest boo-boo. As I try to listen to each child, a small hand touches my chin to gently move my attention to their sweet face. I don't think I know of a better way to be welcomed. I thank God for this opportunity He gave me. Three years ago, I would never have imagined this is where I would be. But in the midst of pain and uncertainty, He answered a prayer that was buried within my heart. Children are a blessing. And children can be the MOST WELCOMING people in the world. Good morning! Just couldn't agree more! In their innocence and child like joy, their hearts are wide open. So glad you experience this everyday! Enjoy! I love reading your stories about the children. So sweet. I volunteer at an elementary school as part of our churches local mission team. What a blessing those kids are to me. I could take each one of them home. I've been there long enough that some of them are learning my name, and as they pass, they say, "Good morning, Mr. Sawyer" I know the feeling when a little one comes to you and aks for your attention. You're right. No greater welcome in the world to me than from a smiling, eager first grader. Great post. Thank you. Oh, how precious! I would love to be able to be a fly on the wall and watch your sweet interaction with the kiddos. They are so blessed to have you in their lives as well as them being a part of your life. You brought a smile to my heart this morning. Hugs! Your words always convict me even as they make me smile. We can great the exuberance of a child with weariness or will the delight of being so welcomed. I pray I will be a welcoming spirit to those who cross my path. Thanks for the blessing. Oh you warm my heart...your truly warm my heart!!! Blessings this weekend! I rocked twins the other night...if a baby starts getting too fussy the other workers say, "well we are going to send you to the mother of six!" It is a compliment, and I am enjoying snugging them close and calming them down...and what an example of what Christ does for me...even when I am fighting it. Oh, I am so happy for you Debbie! You are blessed sorrounded by these sweet kids! You are certainly being used to minister to these sweet children! Thanks for sharing this. no one can make one feel more welcome than a child. that's why Jesus told us to be like them. Those precious souls are changing the world, one hug at a time! Funny, I'm thinking that you have a little microcosm of our big adult world in your classroom. Shy ones; brave ones; flashy ones; hurt ones. Everything we needed to know about in life, we learned in preschool! You are welcome, because you open your heart and mind to the children. They are so lucky to meet you and be positively mirrored. I think you are exactly where God meant you to be, and where he needed you mostly. I was reminded of an easy way of getting welcomed. Loved it. My dog, Petunia, is the greeter at our house. She jumps up and down, twirls, wags her tail - just like she hasn't seen us in weeks. But alas, I think all she really wants is a treat! Oh the joy to be welcomed each morning with the smile of 3 and 4 year olds! You are a blessed woman!